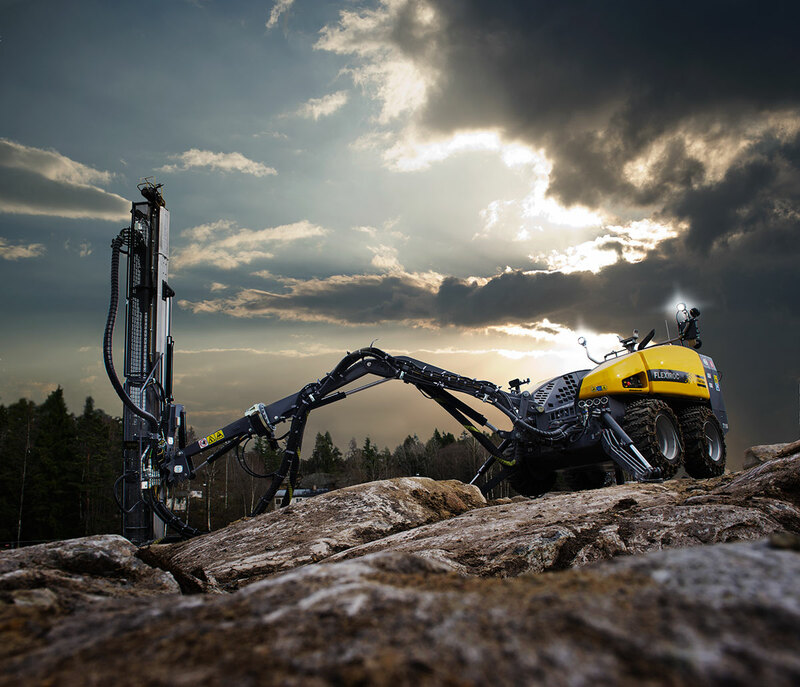 Atlas Copco has updated its four-wheel drive Flexiroc T15 R drill rig with a range of improvements that the company claims will make it more useful and efficient than ever. Designed for drilling 27–51mm holes the rig is a vital piece of onsite equipment for construction, dimension stone quarrying and other demanding tasks such as bolt installations and boulder blasting. New features include an extended feed of 3.66m, a robust foot attachment, a 2.8 Cummins Tier 4 Final engine and a 2.4Hz Bluetooth radio remote control unit. The rig has a long boom reach of 4.5m and the 360º roll-over feed system enables holes to be drilled in practically any position. Not only that, it takes just a couple of minutes to re-pin the rig for either horizontal or vertical operation. The control system automatically adjusts impact and feed speed in proportion to rotation torque which means high productivity and smooth drilling even in soft formations. Equipped with an advanced hydraulic rock drill from the COP 1020 range, excellent tramming capability and support legs it can be used in rough terrain and in locations that are normally difficult to access. An added bonus is that fuel consumption can be kept to a minimum as the engine’s RPM can be adjusted from the remote control system.